Banana is a common tropical fruit and is a good source of energy. Peanut is likewise a favorite nibble among children and adults, providing them a good amount of protein and fats. 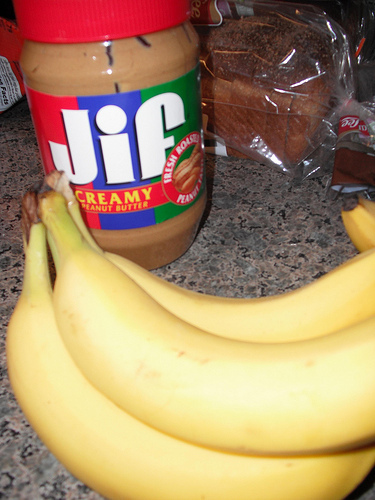 When mixed together, banana and peanut blend in high-calorie, high protein food best suited for growing children. 1. Boil green bananas (saba) until done. 3. Toast peanuts over moderate heat for 15-20 minutes. Cool and remove skin manually. 1. Mix 1/3 cup of banana flour and 1/3 cup of peanut grits. One-half (1/2) cup of this porridge will provide your pre-school child 1-6 years old with 20% and 17% of his Recommended Dietary Allowance for energy and protein, respectively.